I am finding it difficult finding ringtones for the A50 and also new covers. Can anyone help? 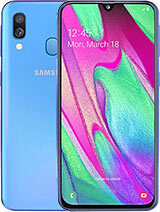 It's a good phone, and cheap @ £50, but cant find ringtones, and the one I tried to get from Siemens site didnt download properly-does anyone actually know where to find good sites, &how to actually store &set up one once downloaded successfully????????? this phone is really good. its small and lightweight and does mostly everything you need. except i cant find ringtones anywhere for it on the internet or wap. if you know where i can please email me !!!! Ps do you know any sites in which there are ringtones fopr the A50 siemens. I have many phones but this is very good. Try this phone, no regret. This phone does not have organizer!!! ericsson is the best phone in the entire world,dudes!!! I've just bought the A50 about and was told at the time that I could buy Clip-it covers for it. So far I cant get them anywhere. The phone is a really nice shape and size and does all I want it too but I bought it thinking I could change the colour/style every now and again, but that doesnt seem to be the case? Just bought the A50 for crimbo, i'm pleased with it as i'm not ashamed to take it out in public and flaunt it to passers by, although the keys are a bugger to get to; especially # and *!! the best for this price. siemens a50 is one of the good phone , and price is good for a poor man ... like me ... but more nombers in the memori of the phone , if it haz !! !